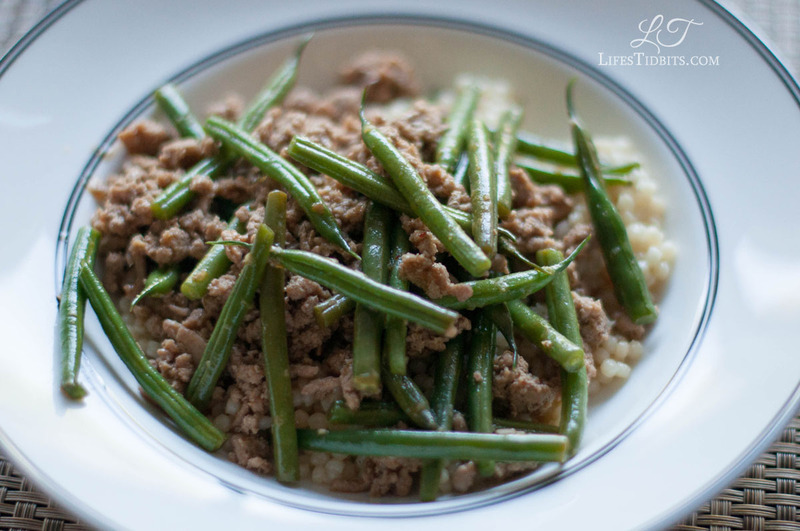 Oddly enough I have a few fond memories of cooking with string green beans. I’m standing in the kitchen next to my grandmother (or mother) snapping off the ends of the green beans and eating a few along the way! Green beans are one of those things I can eat cooked or raw. Do you ever have one of those days where you defrost meat and then none of your go-to recipes sound appealing? I’ve been having that happen to me frequently as of late. The other week I decided to defrost some ground turkey for dinner. Shepard’s pie, taco salad, turkey meatballs and a few of my other easy recipes felt just well ‘over-done’ … get it?! I’m so funny – well probably not, but I couldn’t help myself. So yeah, anyways, it was time for something new, easy and healthy! I was browsing Pinterest while contemplating dinner. After doing a quick search-a-roo on ground turkey I had a few contenders. The husband and I really enjoyed this new meal. One of the best parts … it’s a ONE pot meal so relatively easy cleanup. Pre-heat a large wok or frying pan over high heat and spray with non-stick spray. Add the ground turkey, garlic and ginger. Break up the turkey and cook until browned. In a small bowl, whisk together chicken broth, corn starch, soy, rice vinegar and chili garlic paste. Once the turkey is browned, add in green beans and broth/soy mixture. Cover and let simmer on low for 5-10 minutes. Stir occasionally so the sauce doesn’t burn. Add in the sesame oil. Cook an additional minute or two then serve. 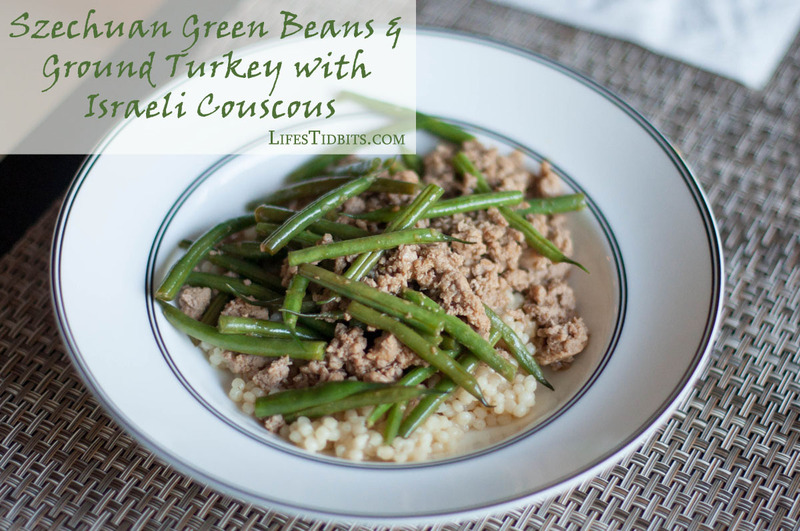 Serve with Israeli couscous or rice. This recipe has definitely grabbed a spot in our dinner rotation! What’s an easy recipe you are digging lately?